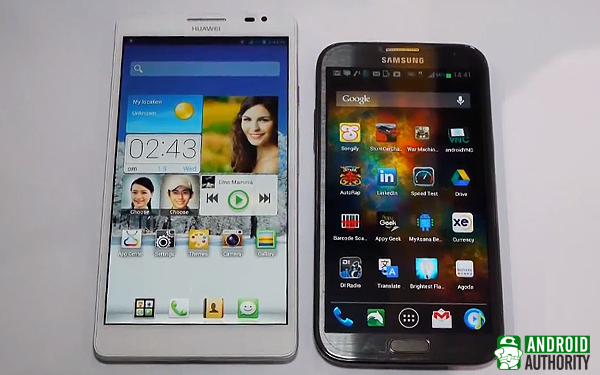 Android Authority has released an article comparing the Huawei Ascend Mate (above) with Samsung Galaxy Note II (below). 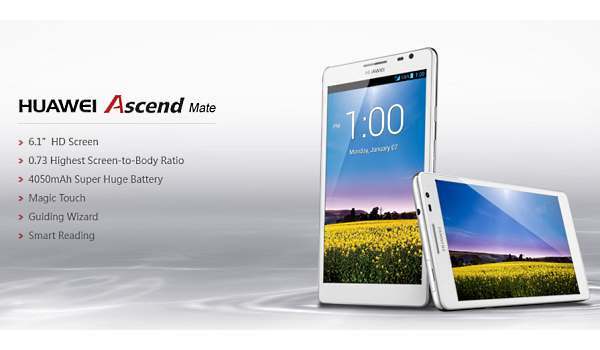 Features of the Ascend Mate include a 6.1 inch display, Magic Touch Technology favouring gloved users, and a 4100 mAH battery. Performance wise, the Note 2 has a higher RAM and processor, in addition to GPU (Not sure what that is, but there’s no mention of the Ascend Mate having one). Also, Huawei’s quad-core CPU is manufactured by its own factories, while Samsung uses the Exynos quad-core CPU, so I can’t really comment on that either. The lack of a microSD in the Ascend mate is yet another disadvantage. The Note 2 also has a S-pen, and S-pen enabled apps. In overall, the merits of the Ascend mate are basically the size of the battery and the display (I won’t comment on Smart Touch technology as people rarely wear gloves here, with exception of construction workers and painters. Also, I doubt a motorcyclist would want to play with his ‘phablet’ while on the road). As a girl I’ll still prefer the Note 2’s 5.5″ display. I previously used a Samsung Galaxy S2 and while the 5.5″ display helps me do my ‘smart reading’ (I just love reading as well as making notes with the S Note app) as well as better performance of games such as the Teamlava game series, I still need time adjusting to it. 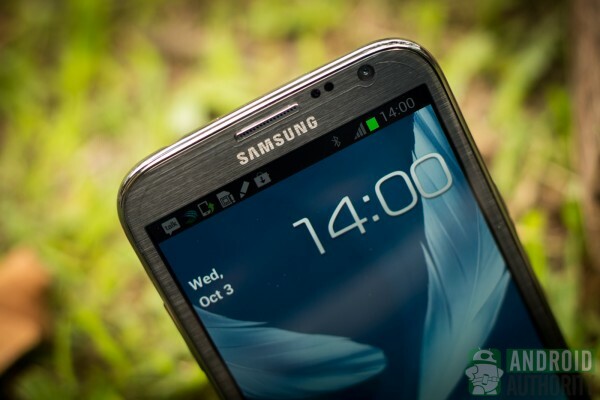 The 6.1″ display of the Ascend Mate is a bit too annoying for me though. Perhaps I wouldn’t be able to carry it (not in bags though) with the ease I carry my Note 2 (it feels like a small diary/planner when I hold it while walking). Also, I tire of rectangular-shaped smartphones: I prefer something ’roundish’; i.e. curvy. I also loved the glossy and bezel outlook of the Note 2, which I picked in Titanium Grey. On a side note, how long would it take for a 4050 mAH battery to fully charge up? ^^ Getting a smartphone due to a higher capacity battery isn’t really my thing, as I would rather invest in additional replacement batteries to support my hobbies. Since Note 2 has a larger RAM of 2 GB in contrast to the 1 GB RAM of the Huawei Ascend Mate, this would be a factor I would select over a larger capacity battery. I would get a Huawei product, but not a Huawei smartphone: it would be the Huawei mobile broadband modem, which up to now I haven’t had any issues with.